Fish and cheese: An unbreakable rule? Never add cheese (especially, but not limited to parmigiano reggiano) to a dish with fish. Italians would never, ever add parmigiano reggiano to a pasta with fish. But they have many other fixed views on food (e.g. sweet and savoury is a no-no, which is allowed at least in Austria and Japan). I obliged until now, but I wonder where this rule comes from. To be honest, I would never add cheese to frutti di mare, but I'm open to trying other combinations. Is there some evidence that the two ingredients don't mix well? I hear there are some exceptions: Tuna with parmigiano reggiano is okay, but I only tried that as a salad and it was good. Also, I once saw a recipe of fish with mascarpone. Did you ever have a professional cook serving you fish with cheese? Please, I'm not interested in your personal opinion, but I'm trying to understand the rule and the exceptions. @Walter, @TFD and @Joe all agree on tuna as the prime counter example. However, they disagree on the reason: We have @TFD's opinion, that tuna is strong and thus is not outplayed by strong cheese and @Walter's italo-centric opinion, that tuna is a particularly 'unfishy' fish. @Carmi mentions umami as one/the possible reason. @Todd has entered the discussion and disputes the highest voted answer: The umami claim by @Carmi. I'm delighted, because I'm still cautions about umami. If you provide further examples, please include a detailed descriptions and a reason why you think the particular combination is a "allowed". I would be extremely interested in opinions that favour the motion/rule. Is there anybody willing to take a stance and (maybe even) explain the origin? And what about seafood with cheese? Is it unthinkable? Disagree with the umami analysis from @Carmi, even if it was a good attempt. You have some basic facts wrong though. Mozarella is high in umami, like most fresh young cheeses. So is tuna. Caesar salad has both anchovies and parmigiano (both high in umami). But you are sort of on the right track. Baked fish in Italy is not strong in flavor. It's delicate and calls for the following: fresh lemon. That's it. Maybe some fresh parsley. Usually cooked with no herbs and served with no sauce. The fish should be extremely fresh and appreciated for it's delicate flavor. Something like parmigiano would easily overpower the taste of the fresh fish and by putting it on fish you are telling the cook "this is fish gone bad and I need to cover the taste with something". Or if it was served that way, maybe better to avoid it because what is the cook trying to hide? While there I never encountered a fish dish served with cheese. There are a LOT of rules that might seem strange to an outsider. No cappuccino after 10am. You don't mix salty and sweet in the same dish, or even during the same course. Beer with pizza, not wine. You would never drink coffee before or during desert, it's served after. While I was there I did a lot of thinking about the basis of some of these rules and concluded it's usually either 1) health, 2) taste, or 3) regional cultural rules. I asked the fish and cheese question a few times. The answer was always "That's gross, you just don't put cheese on fish". My guess is this one falls under 2 and 3. The health angle from @Walter I think has a lot of validity in general. Italians often complain of their liver hurting after eating especially 'heavy' meals. Heavy meaning something very specific in Italian: difficult to digest. So a fresh salad with too much raw garlic could be considered heavy because garlic sometimes causes indigestion. A huge chunk of parmigiano is not considered heavy because parmigiano is very digestable. My guess is some of the rules come out of the particulars of the Italian digestive system. Much like you will not find many Asians joining me when I chug my glass of milk. I think that historically, at least in Italy, it is due to the fact that the majority of the regions facing the sea weren't big cheese producers on the first place, hence the fact that cheese wasn't present in their recipes. This might eventually have become a custom, without any particular reason, besides the original lack of the ingredient on the first place. If you think about it, if you were a fisherman you probably didn't have much time for keeping a herd of cows for milk and dairy products, and buying it wasn't probably all that feasible (and it was expensive, too). This probably led to the search for substitutes such as breadcrumbs, which are sometimes referred to as "poor men's Parmesan". Italians are generally very tied to their traditions, so the fact that Italians tell you that fish and cheese is a big no-no probably doesn't have a very good reason to exist, apart from the fact that so it was told by their parents, and their parents' parents and so on. New recipes with fish and cheese do exist, as old ones that were forgotten are rediscovered (I counted about 10 recipes out of 50 with Parmesan and some other sort of fish in my "Artusi" cookbook), it might just take a while to get accustomed. I remember my aunt telling me how disgusted she was in the early '60s of seeing "tortellini with cream" in a London's restaurant. Now they are widespread, and nobody is complaining anymore, even though at the time it was considered a "heresy". It happened with that. It is happening with fish and cheese. It will change, eventually. It's an umami thing. Both the very "fishy" fishes and the very "cheesy" cheeses, both of which are favoured in Italy, are very umami in flavour. Parmesan and anchovies are two very typical sources of umami in many dishes. It's possible that combining the two would make something that is just too umami, and you get that MSG overdone flavour. 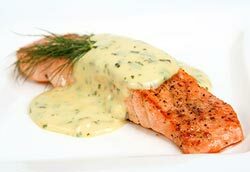 Generally, a good cook will try to balance flavours, perhaps to let one stand out over the others, but not to overdo it, which a combination of fish and cheese would do. That's probably why tuna and mozzarela is fine, as they are relatively not very umami. It's not a personal thing, it's a regional Italian thing. And it's even something like keeping kosher where you don't mix meat and dairy. (although, I'm not sure if fish counts as 'meat' under those rules). Just the other day I was watching David Rocco's Dulce Vita on Cooking Channel, and he specifically showed someone's recipe that had shrimp and parmesean in it; he even commented on the no mixing fish and cheese 'rule', but mentioned that there were lots of exceptions to the 'rule'. Personally, my mom's Italian-American, and although she was always concious of the no fish and cheese thing when visiting Italy to not offend people, growing up, we'd have tuna boats topped with cheddar cheese; a touch of parmesean or percorina romano (even more strongly flavored than parmesean) on a shrimp risotto, etc. It is definitely a regional rule. 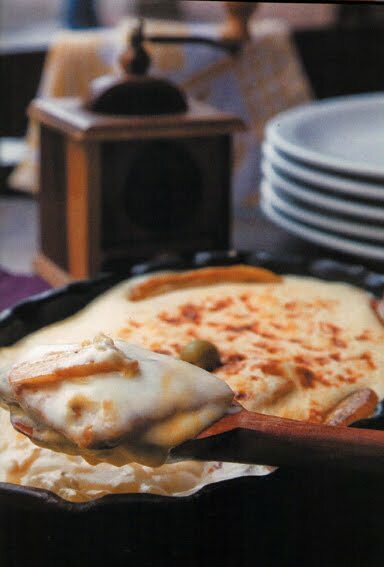 Growing up in NE Brazil, I often had a typical fish dish called Peixe a Delicia - fish cooked in a cheese sauce with plantains. Edit: I think the fish most commonly used is snapper or halibut, and mostly mozzarella cheese. I have never found in food science texts that dairy and fish do not go together for health or other reasons. On the other hand, the rule is a pretty strong on in Italian cuisine. You can find popular exceptions to it, for example there are countless salads served in Italian cafès (in Italy, I mean) that feature tuna fish (always from a can) and mozzarella. An Italian like me might tell you that canned tuna fish is the least fishy of fishes in the Italian worldview: people who don't eat any other fish will eat tuna from a can. In the same vein, mozzarella is barely cheese - no sharp, cheesy taste at all. But to sum it up, I think that it is simply a widespread habit that then you can codify into a rule to use when generating new Italian dishes. Another Italian no-no is fish and meat combinations, with few expections - vitello tonnato comes to mind. "Please, I'm not interested in your personal opinion, but I'm trying to understand the rule and the exceptions." A rule without a reason? The only things that should ever preclude two food items from being eaten together is taste (does it taste bad?) or danger (will it make you sick?). My mother was born in Italy, came from a long line of amazing cooks, and we grew up putting cheese on all types of pasta dishes, including speghetti with clam sauce and fruiti de mare. What about seafood fettuccini alfredo or lobster mac n cheese? This is hogwash and whoever created this ridiculous rule should apologize to the entire food industry! Parmesan is way to strong to be put on fish dishes. Its taste is too strong and overwhelms the flavour of the fish. Not the answer you're looking for? Browse other questions tagged cheese fish italian-cuisine tuna or ask your own question. Onion and Garlic, a no-no? What to serve at a cheese tasting? How can tuna/bonito be tested for histamine? Is there any difference in nutritional value between a wild caught fish and farmed fish?